Anatoliy Tolstoukhov (with hand on railing) stands for a photo, with some of the individuals who attended his presentation at the U.S. Library of Congress, on June 28, 2013. That's Jurij Dobczansky, Librarian Specialist at the Library of Congress, on the far right (holding a camera), who coordinated the event with the U.S.-Ukraine Foundation. Anatoliy Tolstoukhov, former Minister of the Cabinet of Ministers (within the Ukrainian Presidential Administration), came to Washington at the end of June 2013 for a number of meetings highlighting issues of governance, education and philanthropy. Mr. Tolstoukhov's visit was coordinated by the U.S.-Ukraine Foundation. 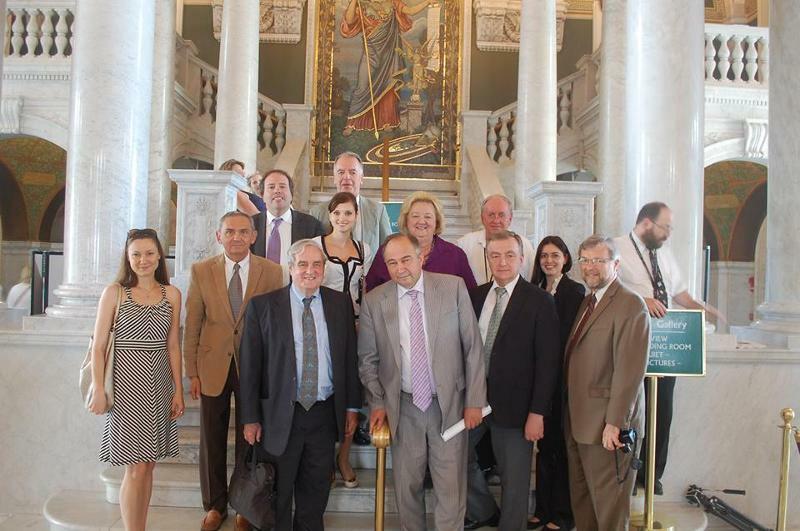 Mr. Tolstoukhov paid an official visit to the Library of Congress on June 28 to make a book presentation "Ukraine: History of a Great Nation" co-sponsored by the European Division and the LCPA Ukrainian Language Table in cooperation with the Foundation. The event was held in conjunction with his donation of over 90 books to the Library of Congress, thus expanding the Library's holdings related to Ukraine and Ukrainian history. 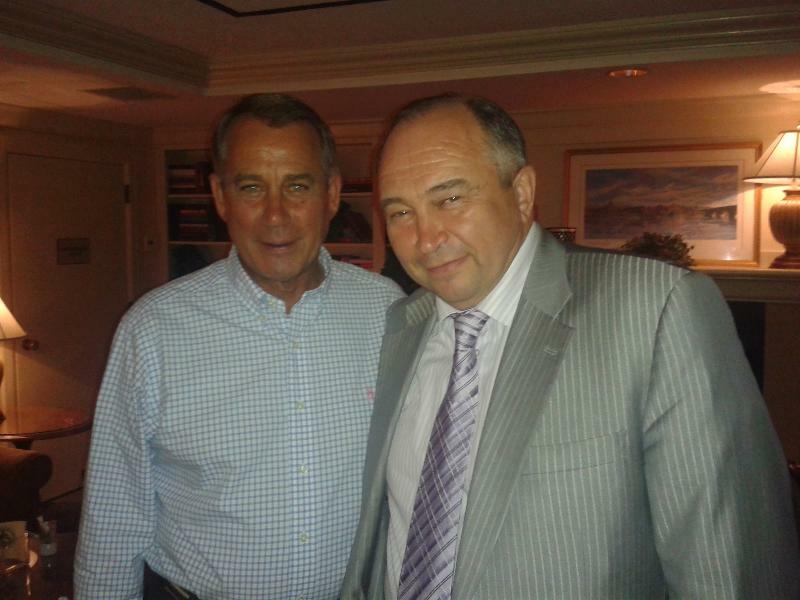 The Foundation assisted in other meetings and visits, including with The George Washington University, Voice of America, Taras Shevchenko Monument and with Speaker of the U.S. House of Representatives John A. Boehner (R-OH). Since Ukraine became independent in 1991, Mr. Tolstoukhov has held senior political positions in the nation's government. He was a Member of the Parliament of Ukraine, Deputy Minister of the Cabinet of Ministers of Ukraine, four times Minister of the Cabinet of Ministers of Ukraine and Deputy Mayor of the Kyiv City Administration. Mr. Tolstoukhov is currently the Honorary President of the Arts Development Fund of Ukraine, President of the Charitable Organization Center of Practical Philosophy and an Honorary President of the Organization of Private Institutions of Education of Ukraine.